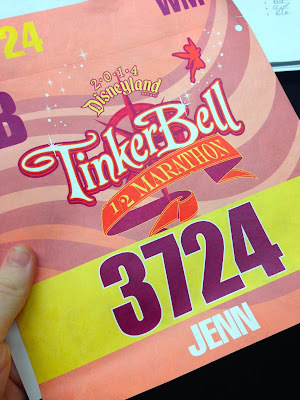 So I've started the race - I'm pretty sure in this case it was supposed to be the WDW Marathon - and I'm plugging away when for some reason I have to stop. I think I was futzing around with my shoes or something, but when I look up, everyone else is gone. I start running the course again despite the fact that it no longer appears to be set up, and people are in the Magic Kingdom already. But nobody's stopping me, so I plug along, all the while convinced that if I just keep at it I'll catch up with the back of the pack in time to finish the race. I run through Fantasyland, avoiding the crowds, and eventually wind up outside the park on the trail to the Grand Floridian. It is at this point it suddenly occurs to me that I never went to the expo to get my bib activated. Aha! This is why I'm not getting any texts about my progress at certain checkpoints. But wait, that can't be right - I'm wearing my bib, and you can't get your bib without going to the expo, or anyway there's no "activation" thing once you have it. That doesn't make any sense. Oh, I know what's going on - this is a dream! And so I woke up. Whew! At least dream me doesn't give up easily. Anyone had any running dreams lately? They don't have to be as paranoid as mine.